​Now that the weather is getting consistently warmer, motorists on Pennsylvania’s roads will be encountering a lot more motorcyclists. Appropriately, May is Motorcycle Safety Awareness Month. In 2016, there were 857,478 licensed motorcyclists in Pennsylvania. There also were 3,447 crashes involving motorcycles on Pennsylvania's roadways, and motorcyclists are 35 times more likely to die in a crash than people in cars. "Riders are a particularly close-knit community, and bringing the message directly to them that making safe choices can save lives is a challenge we gladly accept," said Governor Tom Wolf. "The safety of all motorists is of the utmost importance as temperatures and traffic volumes rise with the approach of summer." Motorcyclists should always practice safe-riding techniques and know how to handle their motorcycles in adverse road and weather conditions. Training from the Pennsylvania Motorcycle Safety Program (PAMSP) can help teach new riders the basics and provide a refresher for experienced motorcyclists. All PAMSP's courses are free of charge to Pennsylvania residents with a valid motorcycle permit or license as required. And while it's important for riders to be aware of their surroundings, it's also crucial for motorists to share the road safely. Allow more following distance when driving behind a motorcycle (at least 4 seconds), and keep an eye on your mirrors and blind spots as motorcycles are small and may be difficult to see. Ultimately, respect a motorcycle as a full-size vehicle with the same rights and privileges as any vehicle on the roadway. 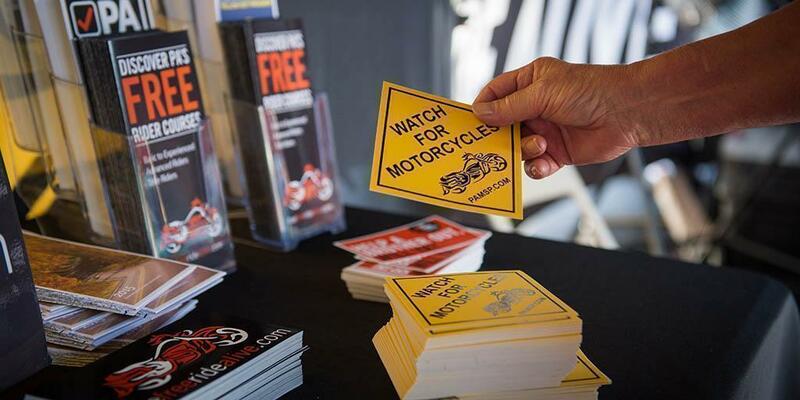 To learn even more about motorcycle safety, motorcyclists are invited to attend the first-ever Live Free Ride Alive Motorcycle Safety Day, being held 1-5 PM Saturday, July 8, at the Farm Show Complex in Harrisburg. In addition to safety seminars from PAMSP, riders can test their skills with four challenges — "Curves Ahead," "Skill Challenge Course," "Slow Race," and "T-CLOCS Challenge." There also will be riding and braking demonstrations from the Pennsylvania State Police and PAMSP, local merchants, and a viewing of the SKIDBIKE. For more information on motorcycle safety or to take the Be One Less pledge, visit www.livefreeridealive.com. To sign up for PAMSP courses, visit www.pamsp.com. Or stop by the Farm Show Complex Saturday for the Live Free Ride Alive Motorcycle Safety Day. Live Free Ride Alive can be found on Facebook, Twitter, and Instagram​.